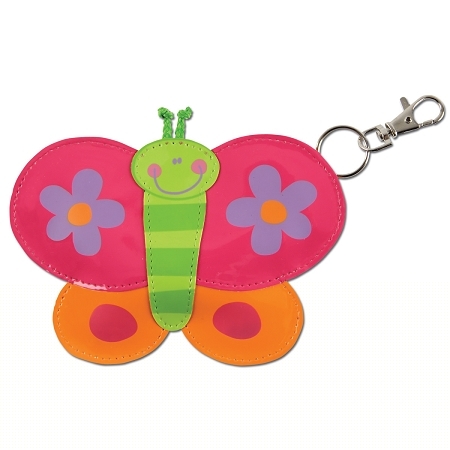 Coin Purse Butterfly for little girls in bright colours is vinyl with zip closure in a theme of butterfly. Butterfly Coin Purse has a strong metal clip attached for clipping on backpacks, little girls purses or belt loops! Cute coin purse can be matched with any backpacks, little girls purses, quilted girls purses or lunch bag in same butterfly theme.